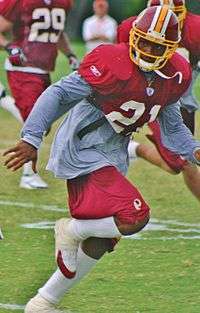 Sean Taylor, first-round draft pick in 2004, played safety for the Redskins until his death in November 2007. In American football, the Washington Redskins joined the National Football League in 1932 as the Boston Braves. In 1933, the name was changed to the Boston Redskins, and finally, in 1937 the Redskins moved to Washington, D.C. The Redskins' first selection as an NFL team was Riley Smith, a blocking back from Alabama. The team's most-recent first-round selection was Josh Doctson, a wide receiver from Texas Christian. Every year during April, each NFL franchise seeks to add new players to its roster through a collegiate draft known as the "NFL Annual Player Selection Meeting", which is more commonly known as the NFL Draft. Teams are ranked in inverse order based on the previous season's record, with the worst record picking first, and the second worst picking second and so on. The two exceptions to this order are made for teams that appeared in the previous Super Bowl; the Super Bowl champion always picks 32nd, and the Super Bowl loser always picks 31st. Teams have the option of trading away their picks to other teams for different picks, players, cash, or a combination thereof. Thus, it is not uncommon for a team's actual draft pick to differ from their assigned draft pick, or for a team to have extra or no draft picks in any round due to these trades. The Redskins have selected number one overall twice: Harry Gilmer and Ernie Davis. The team has also selected number two overall three times and number three overall five times. The Redskins have selected players from the University of Alabama four times, the University of Miami three times, and Penn State University three times. Four eventual Hall of Famers were selected by the Redskins in the first round: Sammy Baugh, Darrell Green, Art Monk, and Charley Taylor. Two Washington Redskins first-round draft picks have died during their football careers. The first was Ernie Davis, who was chosen as the first overall pick in 1962. After being traded to the Cleveland Browns for Bobby Mitchell and Leroy Jackson, Davis was diagnosed with leukemia and died before playing a game with the Browns. The other was Sean Taylor, the Redskins' first round pick in 2004, who was fatally shot in November 2007 during his fourth season with the Redskins. 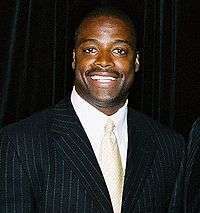 Darrell Green, first-round draft pick in 1983, played cornerback for the Redskins between 1983 and 2002, and was inducted into the Hall of Fame in 2008. The first player ever selected in the draft, Heisman Trophy winner Jay Berwanger, chose not to play pro football. Riley Smith, taken second overall by the Boston Redskins, holds the distinction of being the first drafted player to play in the NFL. Ernie Davis, the Redskins' first pick in 1962, became the first African-American selected number one overall in an NFL Draft. ↑ "History: History by Decades". Washington Redskins. Retrieved 2007-11-15. ↑ "Washington Redskins (1937–present)". Sportsecyclopedia. Retrieved 2007-11-15. ↑ "NFL Draft History: First Round by Team". NFL.com. Retrieved 2007-11-15. ↑ Alder, James. "NFL Draft Basics:Determining Order of Selection". football.about.com. Retrieved 2007-10-23. ↑ "Draft History for Teams by Colleges". DraftHistory.com. Retrieved 2007-12-06. ↑ "Hall of Famers by Franchise". Pro Football Hall of Fame. Retrieved 2007-12-06. ↑ "The Ernie I knew". Star-Gazette. Retrieved 2007-11-06. ↑ "American football: Redskins' Taylor dies after shooting". Associated Press. November 27, 2007. Retrieved 2007-12-06. ↑ "Darrell Green's Career Statistics". NFL.com. Retrieved 2008-03-30. 1 2 The Redskins chose Cal Rossi with the 9th overall pick. However, Rossi was a junior and not eligible to be drafted. They chose him again in the 1947 NFL Draft, but he never had intention to play football professionally. Velin, Bob (April 17, 2002). "'Heisman jinx' started early: Draft's first pick". USA Today. p. SPORTS; Pg. 7C. ↑ The Redskins' first pick in 1948 was a lottery bonus pick. ↑ The Redskins' first pick in 1958 was traded to the Los Angeles Rams for Rudy Bukich. ↑ The Redskins acquired their first pick in 1961 from the Dallas Cowboys, along with a sixth round pick, for Eddie LeBaron. ↑ The Redskins traded the rights to Davis to the Cleveland Browns for the Browns' rights to Leroy Jackson. Davis was later diagnosed with leukemia and died before playing a game with the Browns. ↑ The Redskins' first pick in 1965 was traded to the Chicago Bears for Angelo Coia and Fred Williams. ↑ The Redskins' first pick in 1969 was traded to the Los Angeles Rams for the rights to Gary Beban. ↑ The Redskins' first pick in 1970 was traded to the San Francisco 49ers in 1968 for Walt Rock. ↑ The Redskins' traded their first and third round picks in 1971, their fourth, fifth, and sixth round picks in 1972, and Marlin McKeever to the Los Angeles Rams for Maxie Baughan, Jack Pardee, Myron Pottios, Jeff Jordan, John Wilbur, and Diron Talbert, along with a fifth round pick in 1971. ↑ The Redskins' first pick in 1972 was traded to the New York Jets for Verlon Biggs. ↑ The Redskins' first pick in 1973 was traded to the Baltimore Colts, along with Cotton Speyrer, for Roy Jefferson and a ninth round pick in 1973 and 1974. The pick was then traded to the San Diego Chargers. ↑ The Los Angeles Rams traded Richie Petitbon to the Redskins for a 1973 sixth round pick, and their 1974 first round pick (revised from 1973 second round pick after Redskins learned they had previously traded 1973 second round pick). The Rams then traded the first round pick to the Chicago Bears. ↑ The Redskins' first pick in 1975, along with a second round pick in 1976, was traded to the San Diego Chargers for Duane Thomas. ↑ The Redskins' first pick in 1976 was traded to the Miami Dolphins for Joe Theismann. 1 2 The Redskins' first picks in 1977 and 1978 were traded to the St. Louis Cardinals, along with a second-round pick in 1979, for Dave Butz. ↑ The Redskins' first pick in 1979 was traded to the Cincinnati Bengals for Lemar Parrish and Coy Bacon. ↑ The Redskins traded their 9th pick in the 1981 draft to the Los Angeles Rams for the 20th pick and other conditional picks. ↑ The Los Angeles Rams traded their 1981 third round pick (#69-Russ Grimm), two 1981 fifth round picks (#117-Byron Braggs and #132-Gary Sayre), and a 1982 second round pick (#49-Vernon Dean) to the Redskins for their first pick in 1982. ↑ The Redskins' first pick in 1984 was traded to the New York Giants for a second-round pick and third-round pick. ↑ The Redskins' first pick in 1985 was traded to the New Orleans Saints for George Rogers, and fifth, tenth, and eleventh round picks in 1985. ↑ The Redskins' first pick in 1986 was traded to the Atlanta Falcons before the 1985 Draft, along with a second round pick in 1985, for a second round pick in 1985 and 1986. ↑ The San Francisco 49ers traded their 1986 second round pick (#45-Walter Murray) to the Redskins for a 1986 tenth round pick (#270-Harold Hallman) and their 1987 first round pick. 1 2 The Redskins' first round picks in 1988 and 1989 were traded to the Chicago Bears, as compensation for Wilber Marshall. ↑ The Redskins' first pick in 1990 was traded to the Atlanta Falcons before the 1989 Draft, along with a second round pick in 1989, for Gerald Riggs. ↑ The Redskins acquired their first pick in 1991 from the Houston Oilers via the New England Patriots and the Dallas Cowboys. ↑ The Redskins traded their two first-round picks in 1992 to the Cincinnati Bengals, along with a third round pick in 1992, for the Bengals' first and third round picks in 1992. ↑ The Redskins traded a first-round pick in 1996 to the St. Louis Rams for Sean Gilbert. ↑ The Redskins' acquired the Dallas Cowboys' first-round pick (pick 30) in 1996 for a second and third-round pick in 1996. ↑ The Redskins' first pick in 1998 was traded to the Cincinnati Bengals, along with a third-round pick in 1998, as compensation for Dan Wilkinson. ↑ The Redskins' other first round pick, pick 11, in 1999 was traded to the Minnesota Vikings, along with the 73rd pick (third-round) and the 56th overall (fifth-round) pick in the 2000 draft, for quarterback Brad Johnson. ↑ The Redskins' traded their first pick in the 1999 Draft to the New Orleans Saints for their 1999 first round pick, 1999 third round pick, 1999 fourth round pick, 1999 fifth round pick, 1999 sixth round pick, 1999 seventh round pick, 2000 first round pick, and third round pick in 2000. The Saints used that first pick in 1999 to select Ricky Williams. It was the first time that a team traded all but one pick in a draft. ↑ The Redskins' second first-round pick in 2000 was acquired from the San Francisco 49ers for the Redskins' Number 12 and 24 selections, along with two mid-round picks. ↑ The New England Patriots acquired the Redskins first round pick (21st overall–Daniel Graham) of the 2002 draft in exchange for their 2002 first round pick (32nd overall), third round (96th overall) and seventh round (234th overall). ↑ The Redskins' first pick in 2003 was traded to the New York Jets for Laveranues Coles. The pick was eventually traded to the New England Patriots. ↑ Taylor played for the Redskins for 3½ seasons before being fatally shot during the 2007 NFL season. ↑ The Redskins' second first-round pick in 2005 was acquired from the Denver Broncos for Washington's third-round pick in 2005, as well as their first pick in 2006 and a fourth round pick in 2006. ↑ The Redskins' first pick in 2006 was traded to the San Francisco 49ers via the Denver Broncos. It was part of the 2005 Draft transaction between Washington and Denver. See citation above. ↑ The Atlanta Falcons traded two 2008 second round picks (#34-Devin Thomas and #48-Fred Davis), and a 2008 fourth round pick (which was then traded to the Tennessee Titans who drafted William Hayes) to the Redskins for their 2008 first round pick (21st overall–Sam Baker), a 2008 third round pick (#84-Harry Douglas), and a 2008 fifth round pick (#154-Kroy Biermann). 1 2 3 The Redskins acquired the second overall pick in the 2012 NFL Draft from the St. Louis Rams for their No. 6 overall pick in 2012, their second-round pick in 2012, and their first-round picks in 2013 and 2014. ↑ "Pro Football Draft History: The 1930s". Pro Football Hall of Fame. Retrieved 2007-12-04. ↑ "Pro Football Draft History: The 1960s". Pro Football Hall of Fame. Retrieved 2007-12-04. Alder, James. "NFL Draft Basics:Determining Order of Selection". football.about.com. Retrieved 2007-10-23. "DatabaseFootball.com–Washington Redskins". DatabaseFootball.com. Retrieved 2007-10-23. "Draft History–Washington Redskins". NFL.com. Retrieved 2007-10-23. "Pro Football Draft History". Pro Football Hall of Fame. Retrieved 2007-10-23. "Washington Redskins History". Sports E-cyclopedia. Retrieved 2007-10-23. "Washington Redskins Draft History". Washington Redskins. Retrieved 2007-11-05. "Professional Football Transactions Archive". Pro Sports Transactions. Retrieved 2007-11-05. "Draft by Year". DraftHistory.com. Retrieved 2007-11-05. "Hall of Famers by Franchise". Pro Football Hall of Fame. Retrieved 2007-11-05. "Draft History: 1936–59". TheHogs.net. Retrieved 2007-11-05. "Draft History: 1960–89". TheHogs.net. Retrieved 2007-11-05. "Draft History: 1990–present". TheHogs.net. Retrieved 2007-11-05. "Draft History". The Football Database. Retrieved 2007-11-05. Gay, Nancy (2000-04-14). "NFL's Draft-Day Quagmire: To Fill a Need or Catch a Star?". San Francisco Chronicle. Retrieved 2007-11-18.